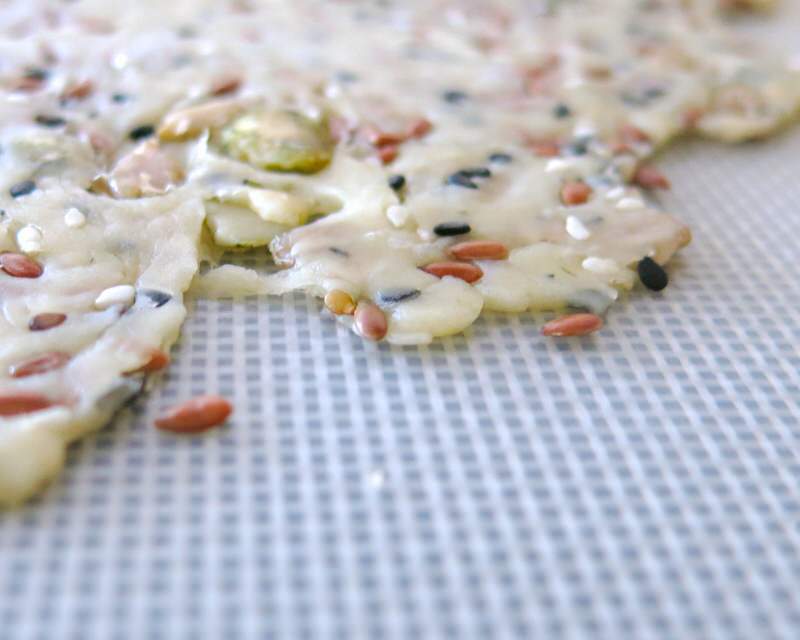 Healthy Seed Crackers: Homemade and Simply Irresistible! 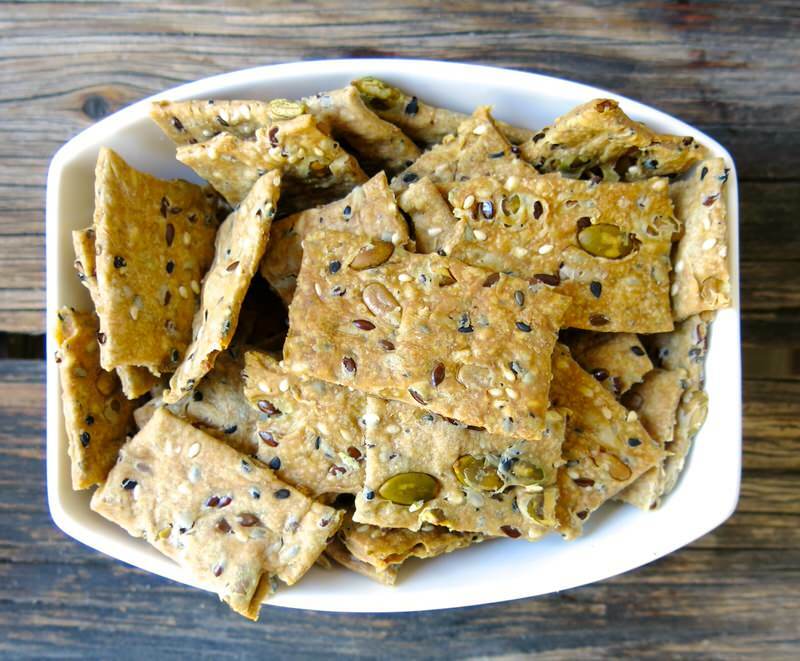 Healthy Seed Crackers: Delicious, Nutritious and Economical! 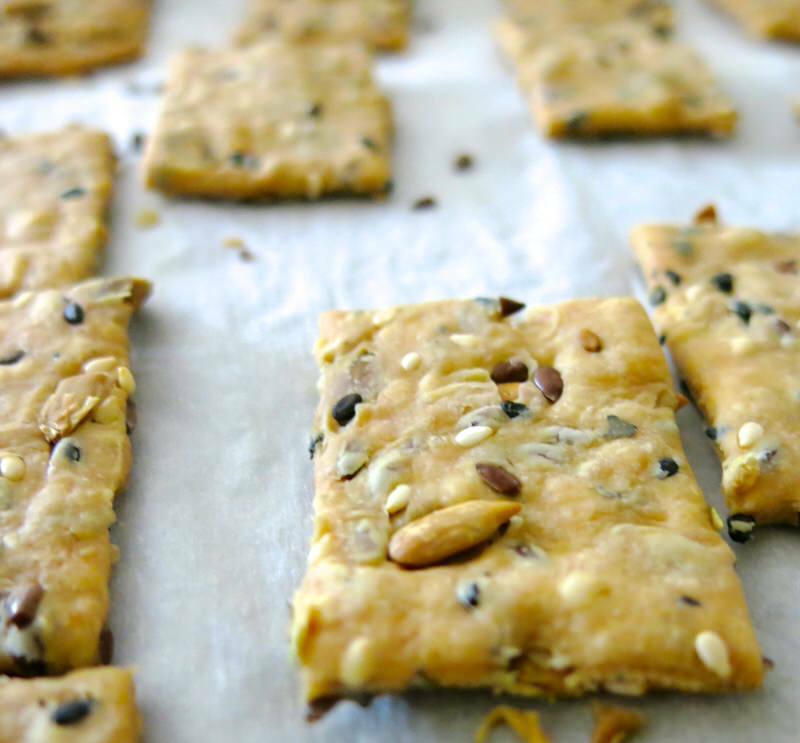 Healthy Seed Crackers! 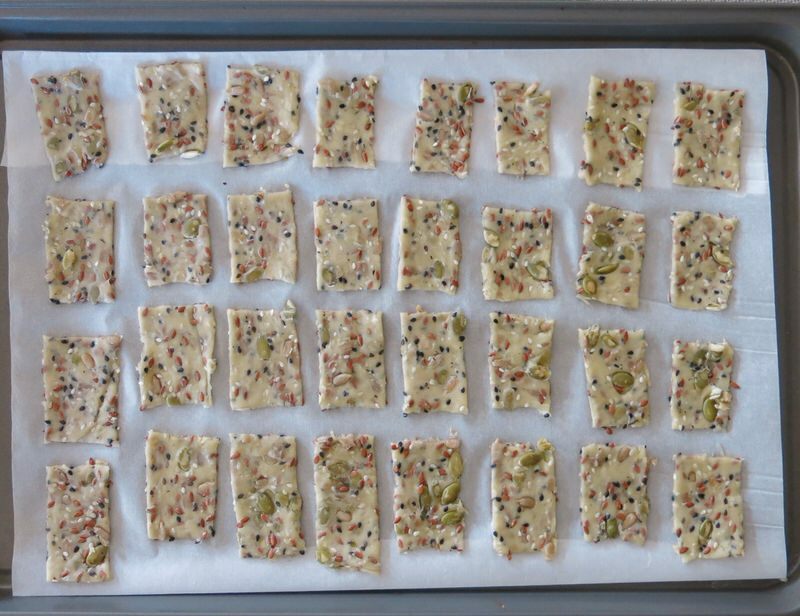 I am a homemade cracker fiend. 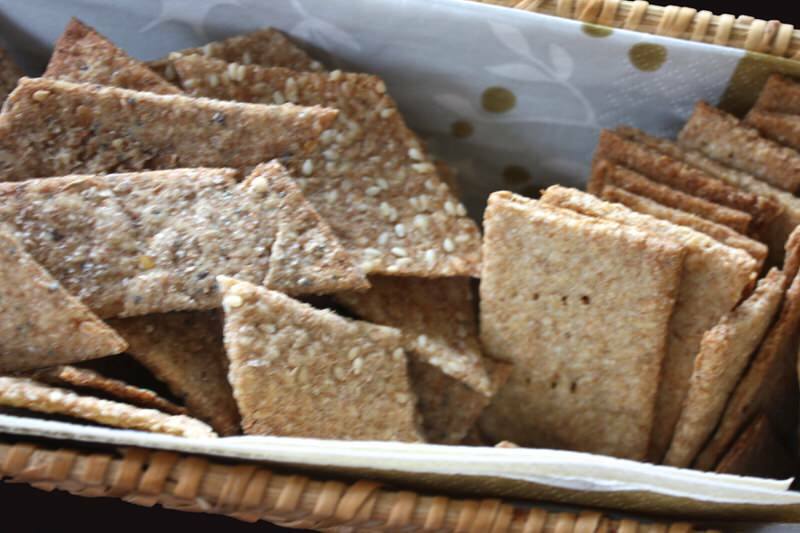 There is just something about homemade crackers. 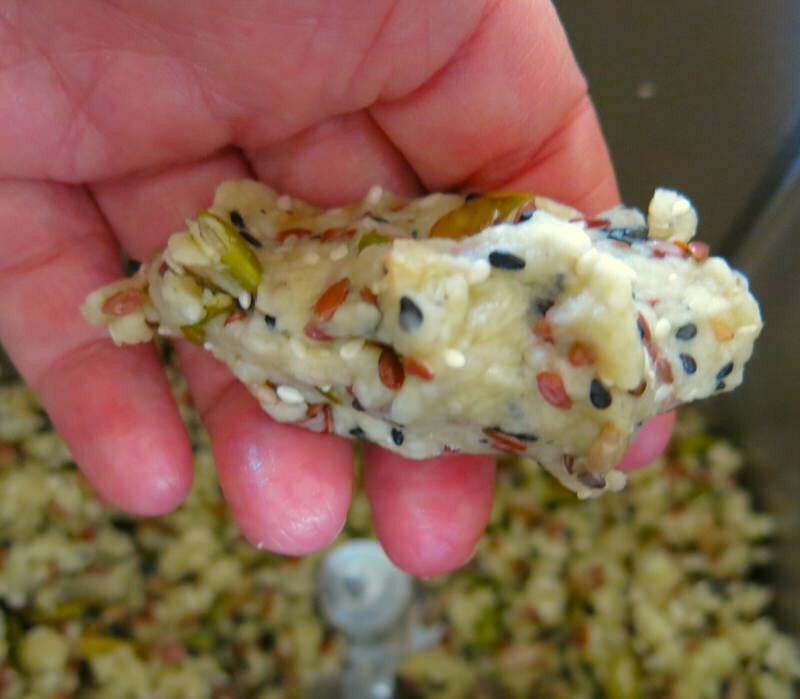 It was Deb Krause from Vesta Gardens and a partner in crime at our Cheesepalooza Project in 2013 who really opened my eyes to the splendour of the homemade cracker. 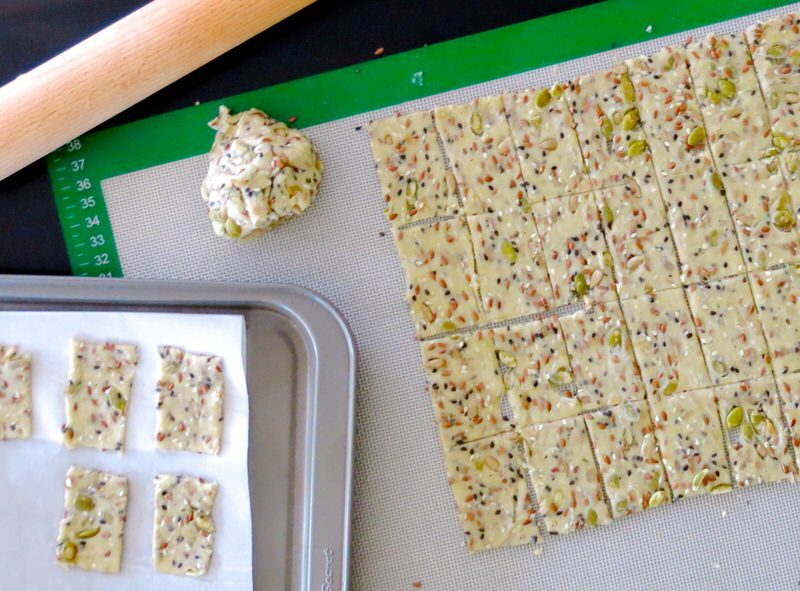 She used to do holiday baking and though I do so much each year, I saw “homemade crackers” on her list, and thought: “Yes!” I do not make these. 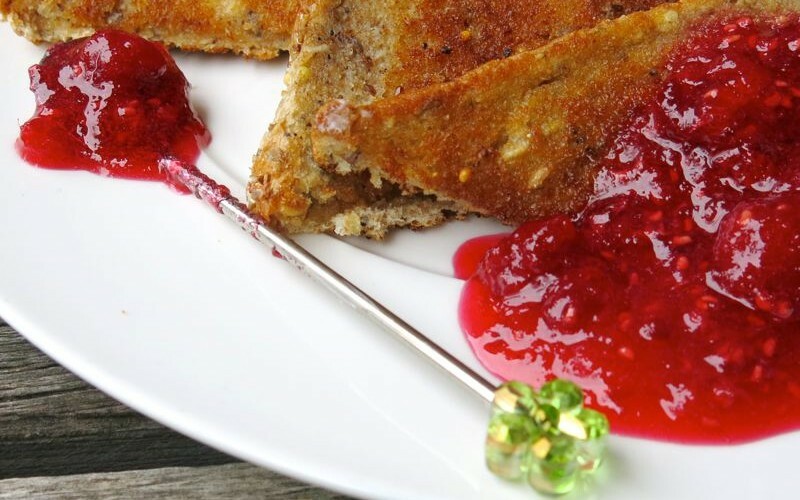 Christmas is just the time for these… Now, every day is “the time”! I ordered “the whole meal deal” that year when it came to Deb’s “Homemade Holiday Crackers”. She was selling 6 kinds. I got all 6. A perfect variety and I would have bought them every year thereafter if she kept making them as I would rarely make so many at one without a friend in my kitchen to make it fun. Above, left was a Parmesan Blue Cheese something, I believe. Right, was my favourite: her Graham Cracker. Oh, my. I never did get her recipe, though she said she was willing to share. I did, however, put together my own a couple of years later. Completely inspired to make them from Deb’s! 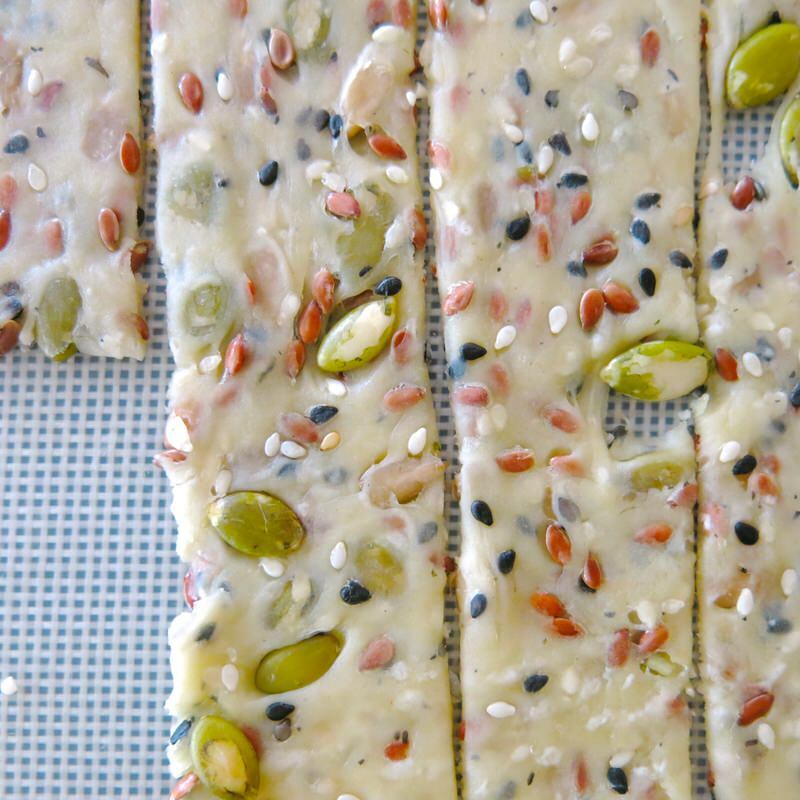 These seed crackers are a triumph. 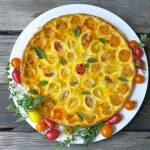 This recipe can be my gift back to Deb, as she had nothing like it in her basket. 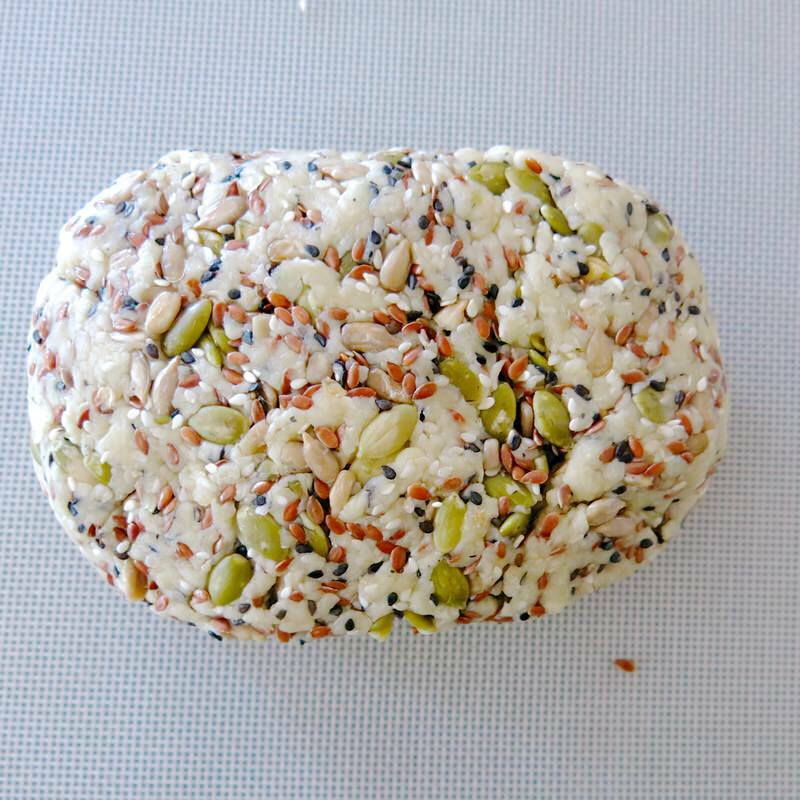 She did have a sesame cracker, but it is nothing like the Healthy Seed Cracker Recipe here. 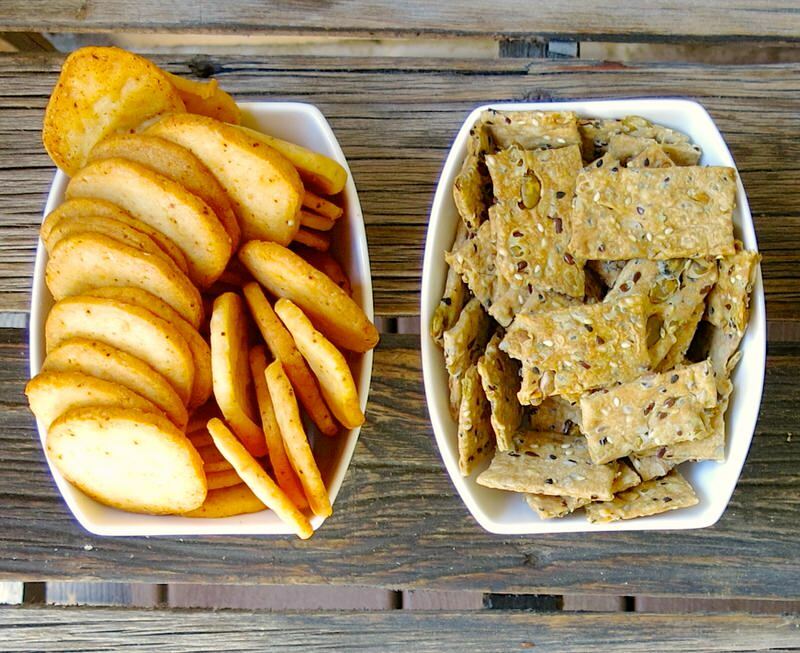 The cheese crackers, however, are a completely different story. 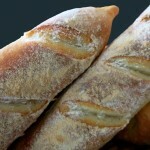 I have worked to find a recipe close to the ones Dauphine’s make for years. Since the first day I tasted theirs. I have finally accomplished it, but it was no easy task. Deb’s, above, was also delicious. As you can see, a lovely assortment to go with all of my homemade cheeses Christmas of 2013. 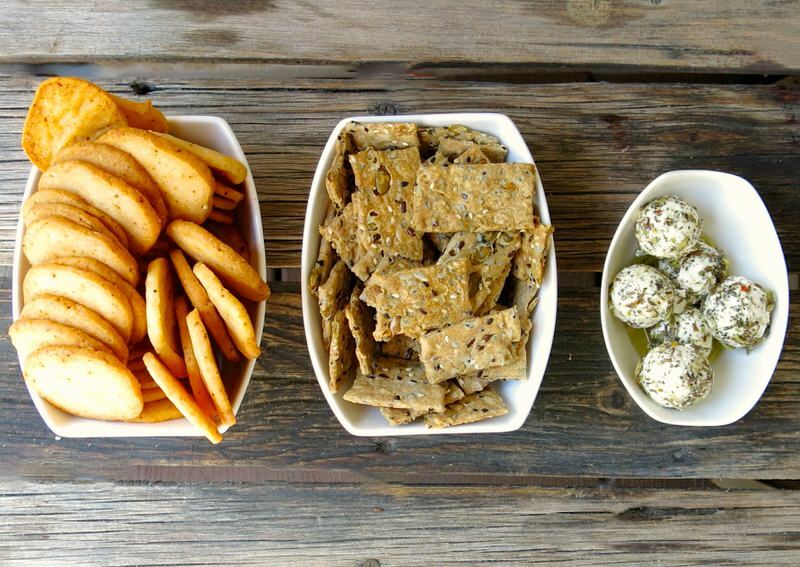 I had so many lovely homemade cheeses and nothing but homemade crackers could possibly accompany them. One fresh cheese I consistently make, that I am famous for (in my own mind and in my wee circle of friends) is my homemade Yogurt Cheese Balls. Talk about a pairing made in heaven, rather, in my kitchen! 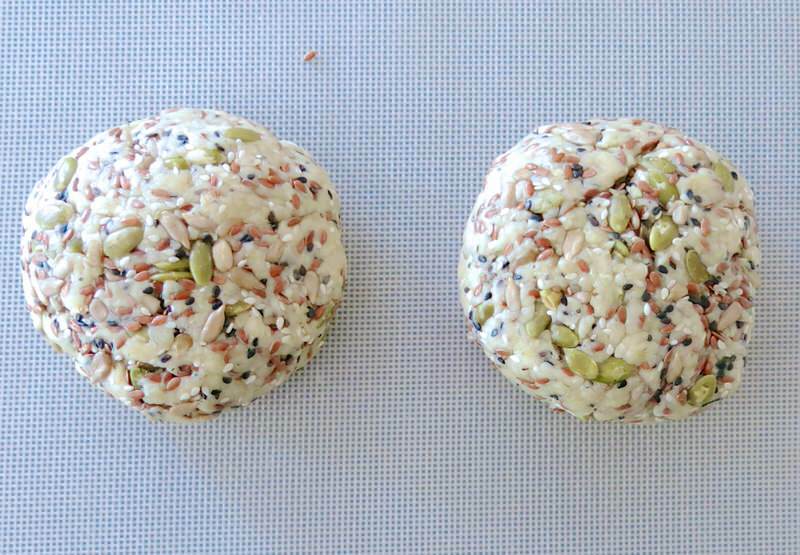 These healthy seed crackers are the perfect accompaniment for the yogurt balls. Seeing that goodness up close and personal provides as much of a taste experience as possible in a photograph and evidence of the healthy ingredients packed into these thin crisps. I did master the cheese crackers. 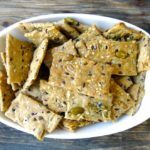 They are delicious on their own as are the healthy seed crackers and really not intended for supporting anything. Yet, the yogurt balls are lovely with them, too. Oh, what a sight it was, it really was! I do enjoy such insignificant visual pleasures. 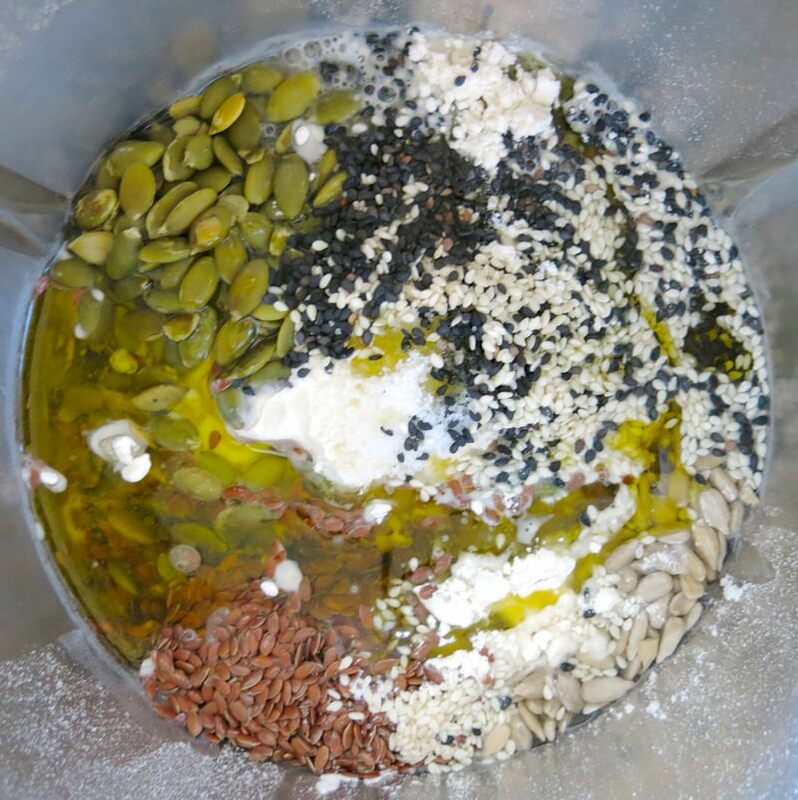 The organized meeting of colours and textures soon to be thrown together to create the healthy seed cracker is aesthetically pleasing to me. Like every Mis en Place, it is the calm before the storm, or a peek of the trees within the forest before skipping down the road well travelled. 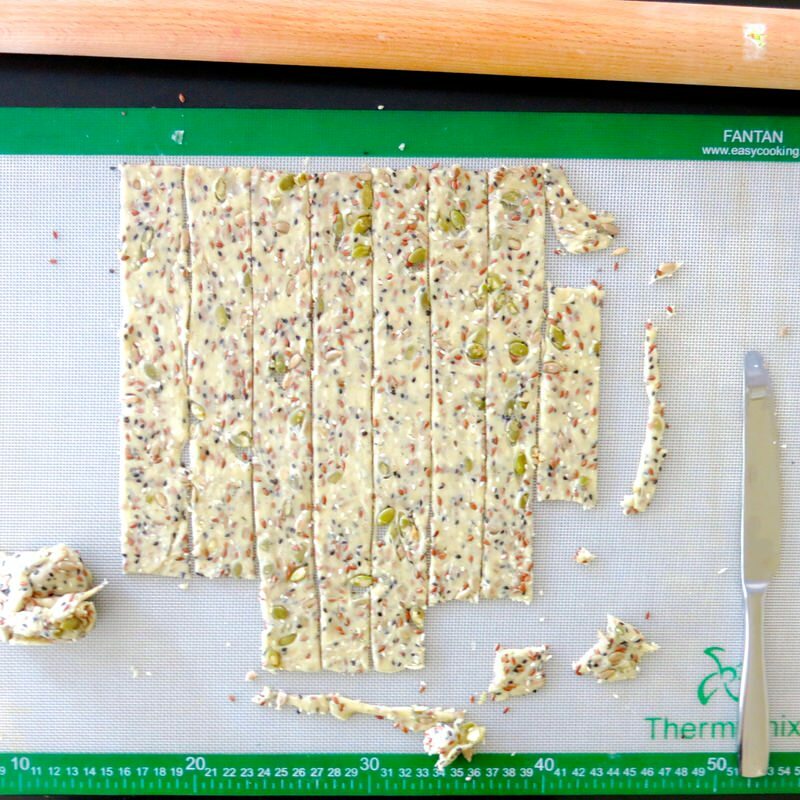 Of course, you don’t need a Thermomix machine to make this recipe. It just makes it easier. (You don’t need an oven, either. You can always cook over a fire, right?) Ingredients all in. 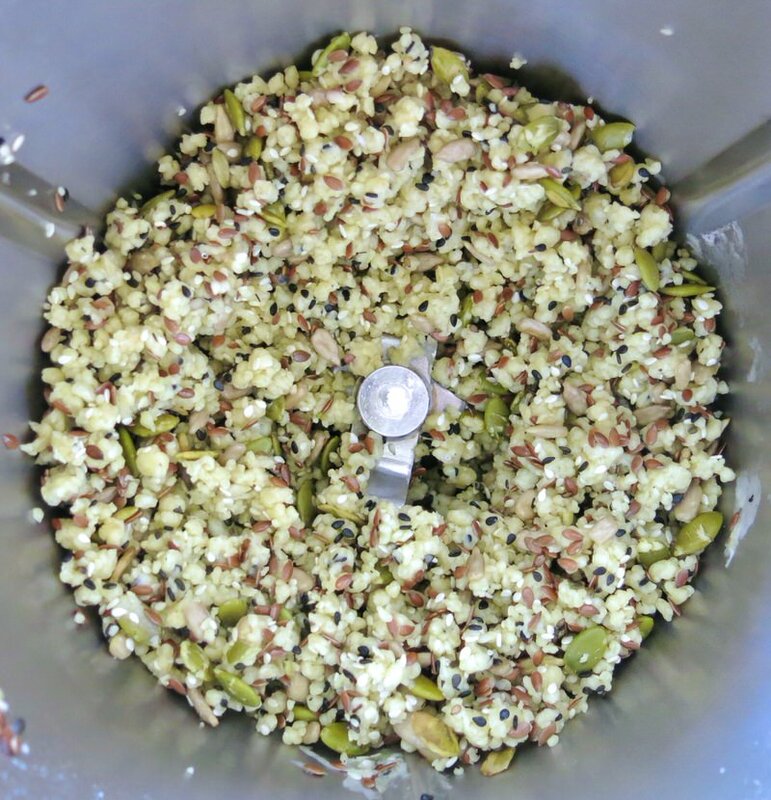 Mixed, then kneaded. Kneaded? Yes! There are doughs that still remain crumbly when kneaded, and this is one of them. Yet, when squeezed, it comes together beautifully. Out onto the work surface and into a ball. What goodness is within each bite! Portion divided by two. One ball is manageable at a time. Freeze the other, if you like. A nice thin roll on a mat. No need for too much more flour. Just a little. The shapes will need to be gently loosened, then lifted from the mat to the prepared baking pan. 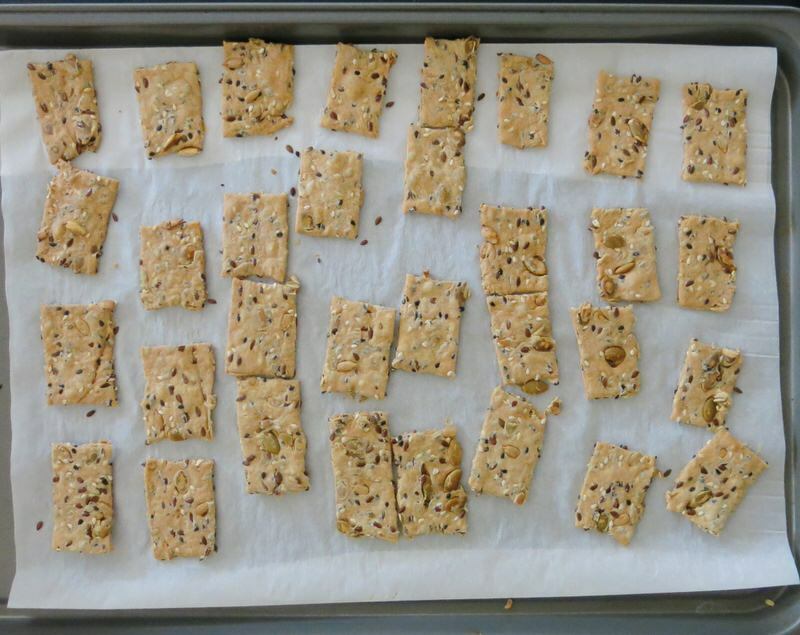 Each half batch makes 32 to 36 crackers. It’s OK to have those thin parts you can see, above. Onto the prepared baking pan and into the oven for 20-25 minutes, or until golden and fragrant. Such lovely, flavourful, crisp little morsels. Professional looking, if I do say so myself. Store in airtight sealed container for a couple of weeks. 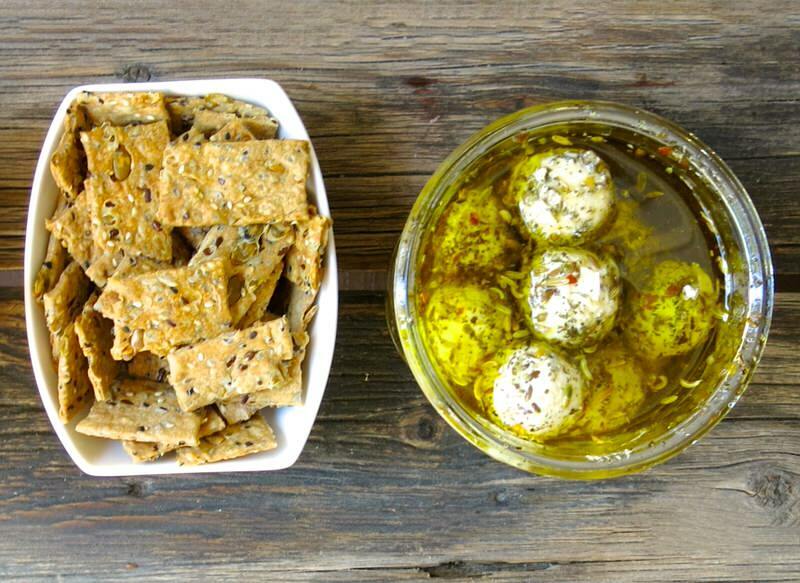 Serve with yogurt cheese balls or other crackers or a cheese plate. Nibble. Nibble. Nibble. 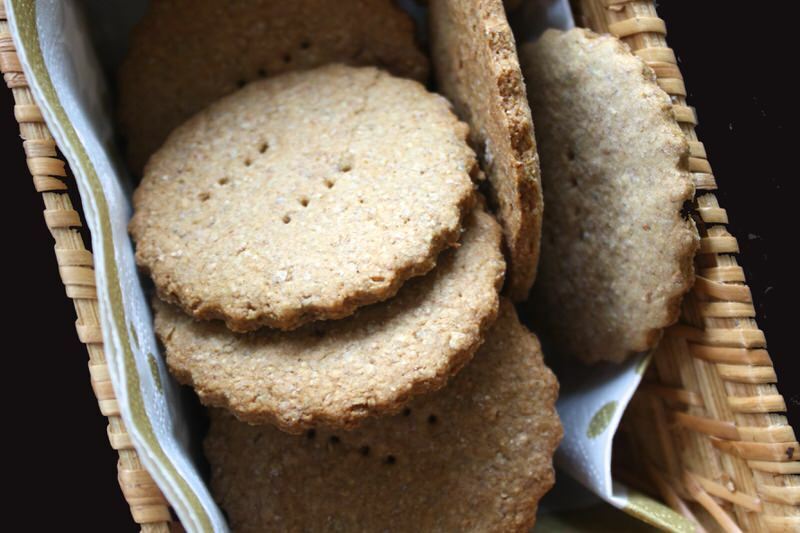 Do you have a favourite homemade cracker recipe? I shared mine with you! 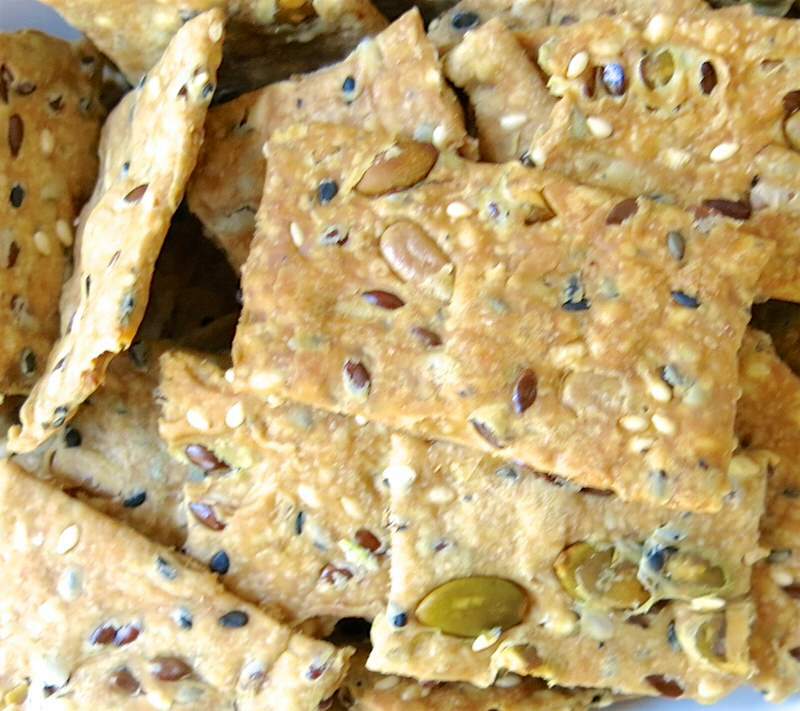 Homemade Healthy Seed Crackers are delicious, nutritious and economical. 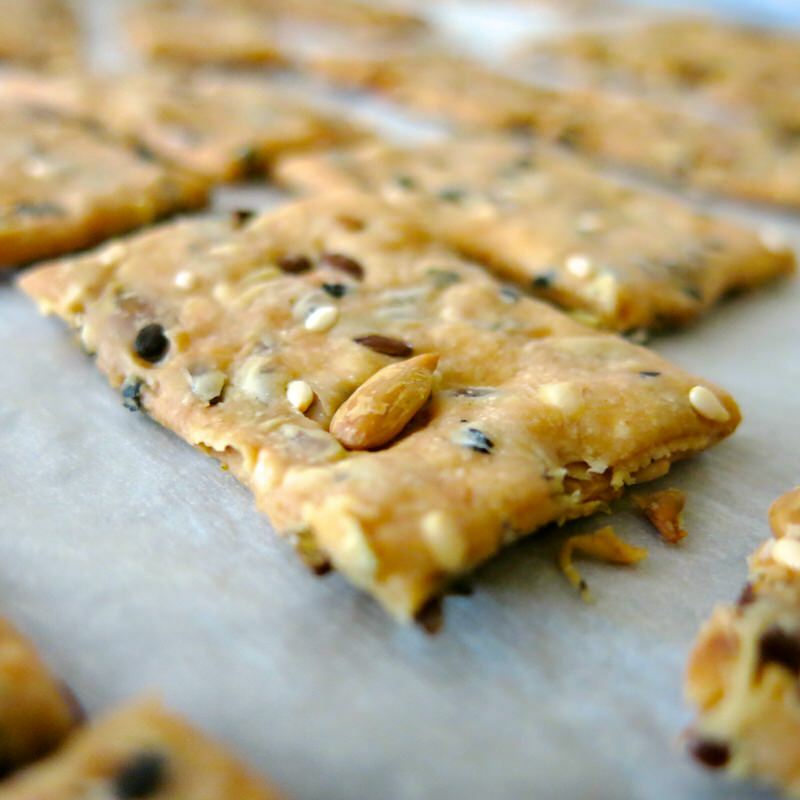 Control what you eat by making your own food and crackers are easy! Simply irresistible! Sorry if I missed it, but I don’t see the temperature to bake these at. They look delicious! Thank you! For some odd reason, NONE of the instructions were in the recipe. They are there now! 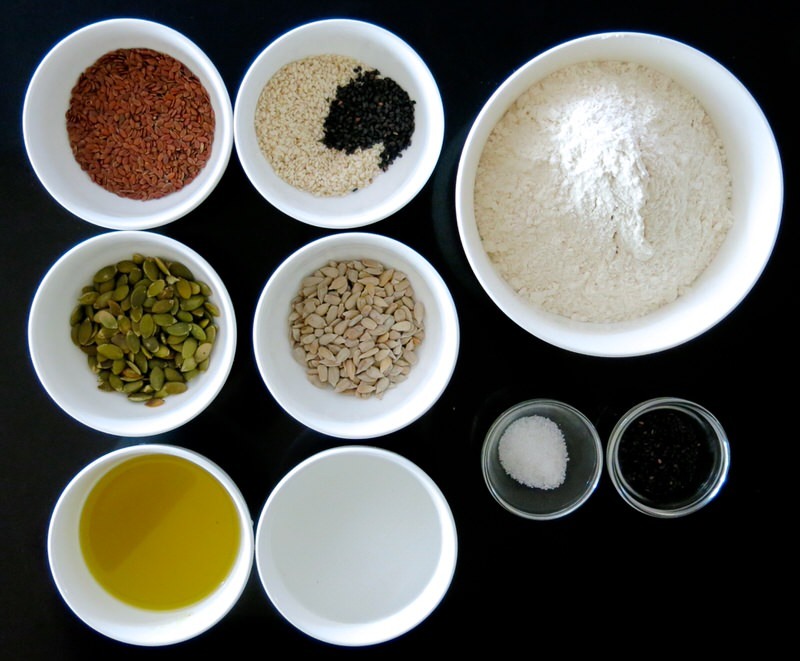 Food Bloggers use “recipe applications” to import our recipes into our post. Sometimes there are glitches. 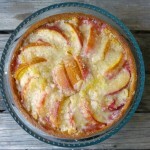 I had proofed the post, then I recall I did go back and add the photo to the recipe. So, thank you so very much for letting me know. DO let me know if you make the crackers and how the experience went for you. Thank you! They are so delicious. 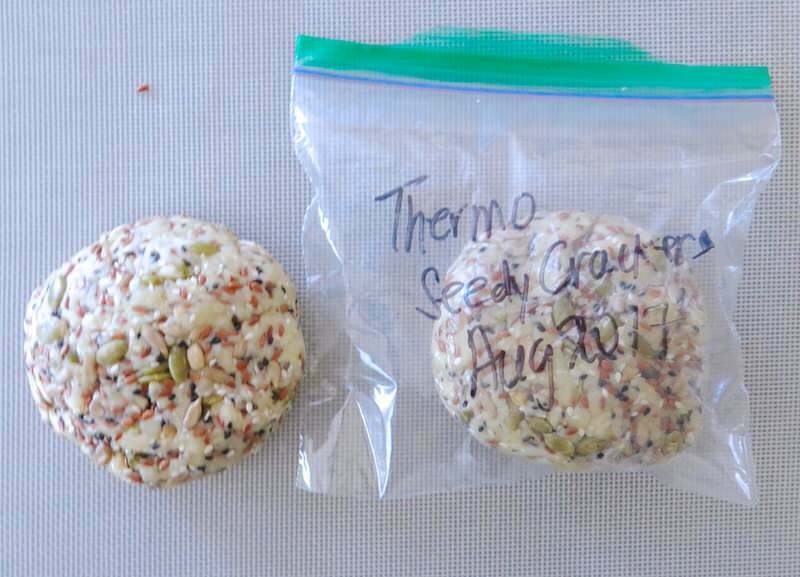 My kids (and I) loved them and I am making another batch tonight! Excellent! Thanks for letting me know. 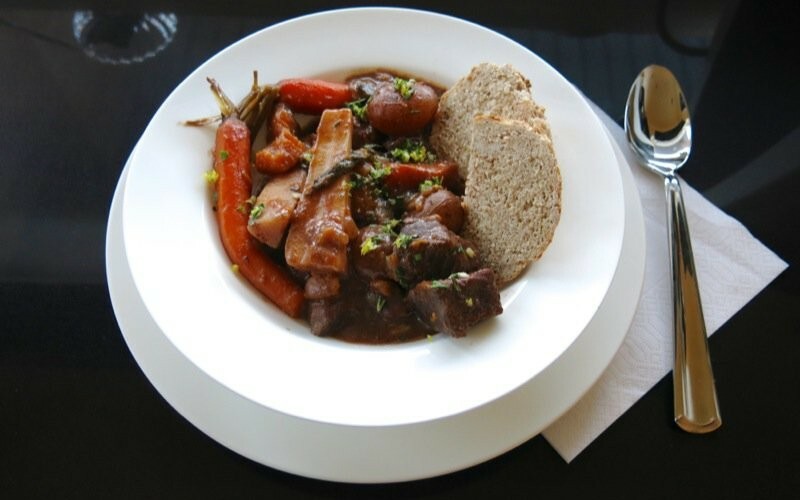 Your response to the recipe here will definitely boost reader confidence in this recipe and I so very much appreciate it! 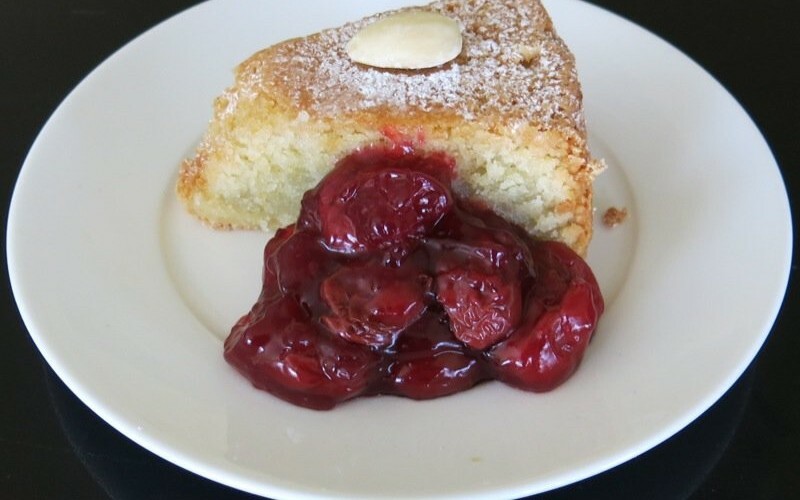 Did you make them with a Thermomix, or without, Nikki? 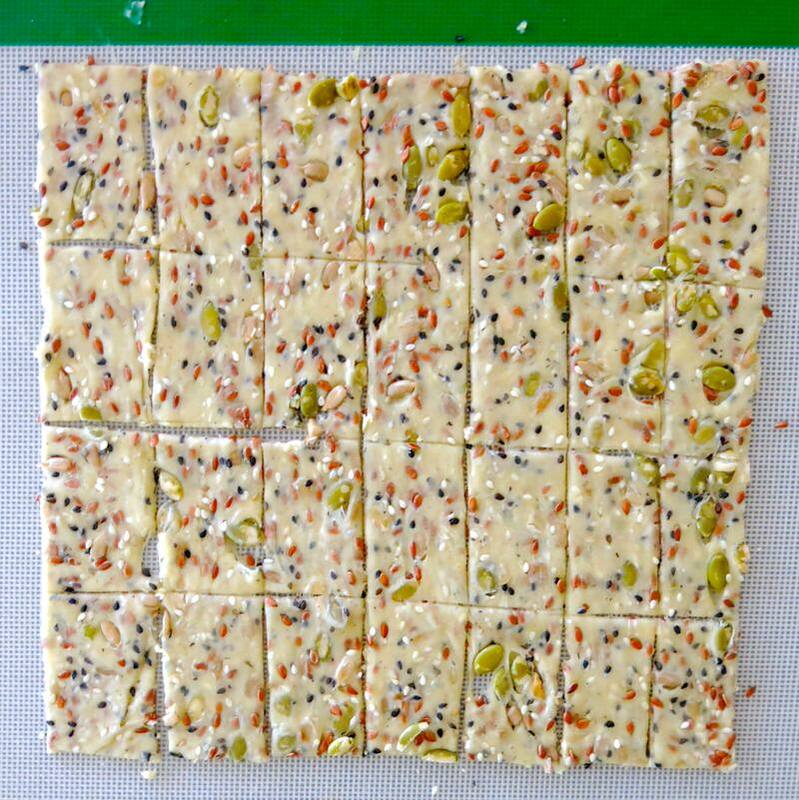 Valerie l just wanted to let you know even though it’s a bit late (too busy making and eating too many of these cracker) how delicious these things are! 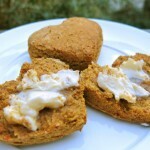 I changed the recipe around a bit and used red fife flour, or a mixture of rye and fife as well as buckwheat and rye. 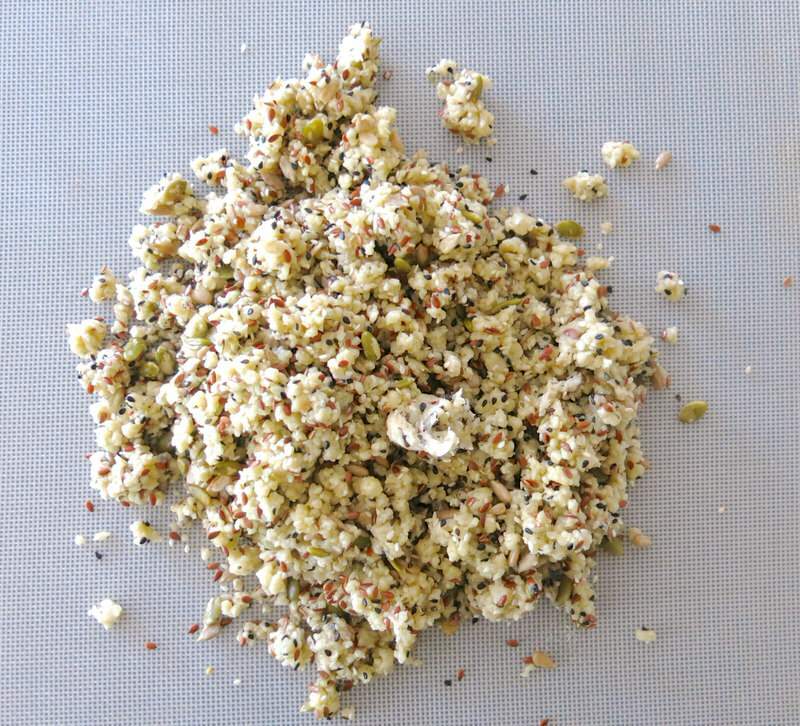 Instead of poppy seeds l substituted millet. I have made these now about eight times and they were just delicious. Some l topped with Maldon sea salt or smoked paprika. Whatever combination l did or topping l used they were just spectacular. My daughter was visiting me from the U.K. and these crackers were pretty much on the counter the entire time she was here. 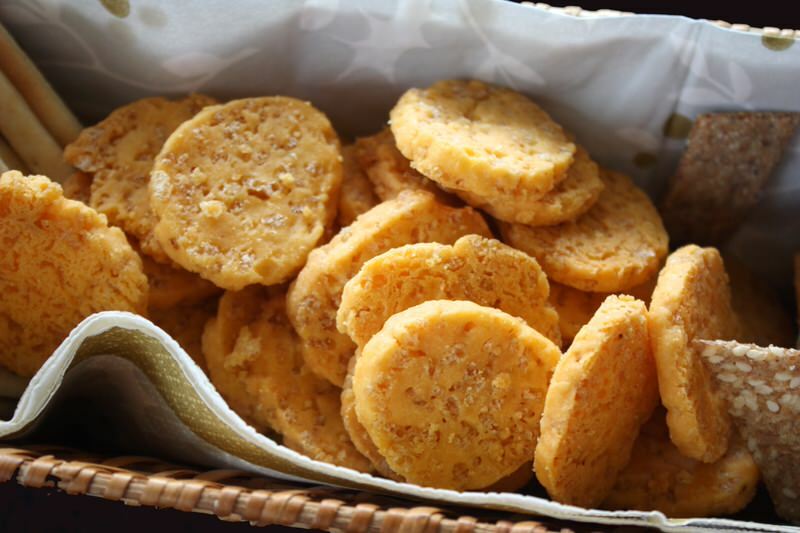 Thank you so very much for sharing such an easy, delicious and very healthy cracker recipe. 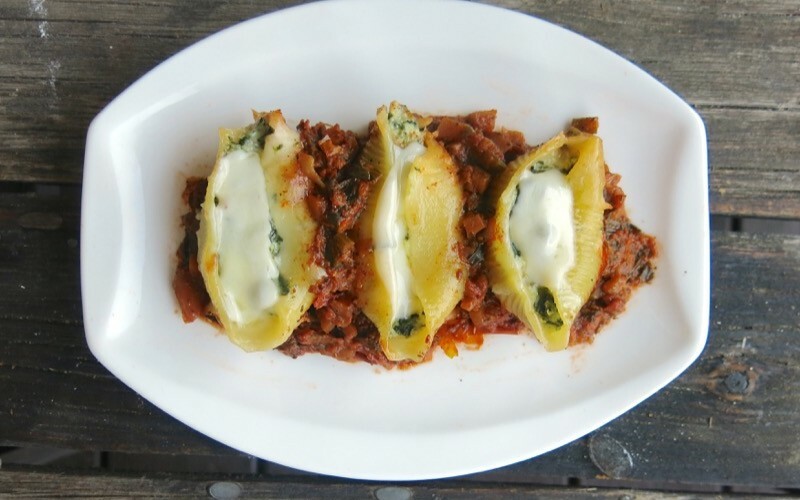 I love your recipes and they never disappoint! What great news! I’m going to now try your toppings! Branka – are you a Branka we know? Had to ask as of course, with my husband from the former Yugoslavia, we know a few, but I don’t recognize the email address. No l’m not. I live outside of Windsor Ontario. If you ever happen to head out this way l’d love to meet you though. 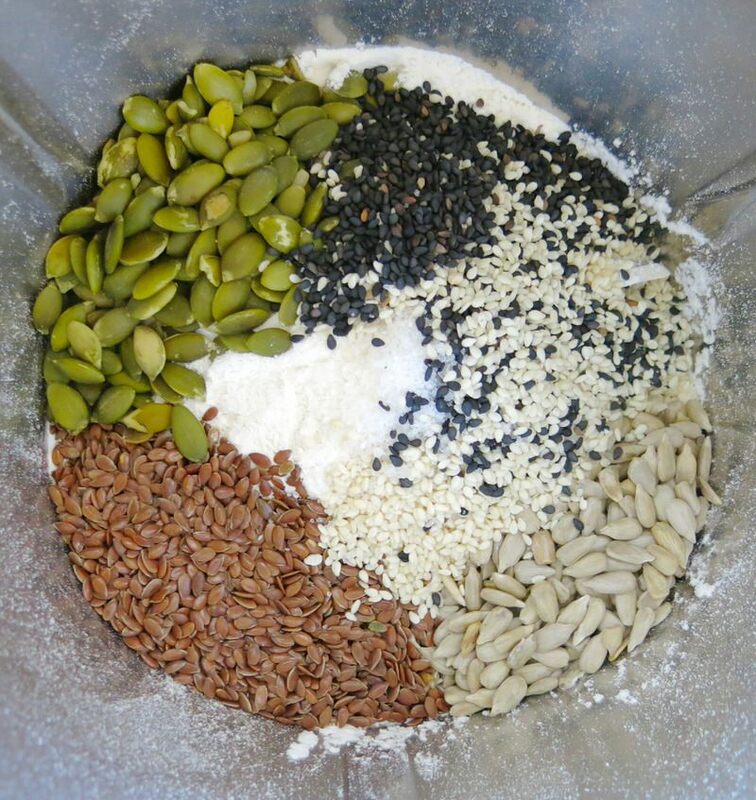 Great idea about the flour switch. 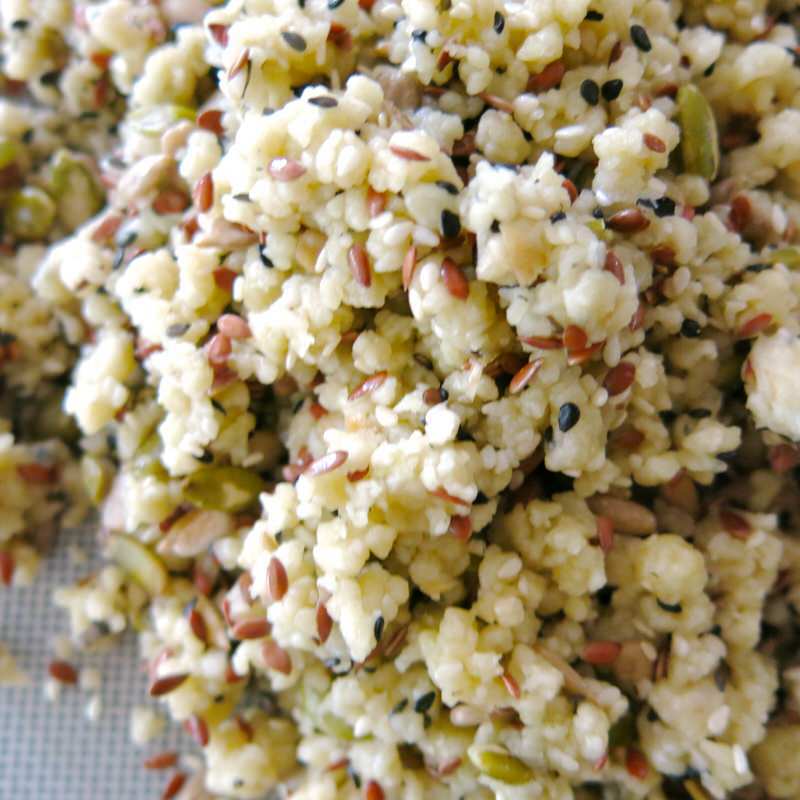 Do you remember the ratio of rye and buckwheat? 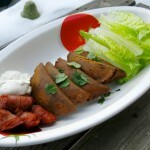 I can’t wait to try these but I’m avoiding wheat and spelt :-). Hope Branka chimes in for you, Kat! Great, Gail! 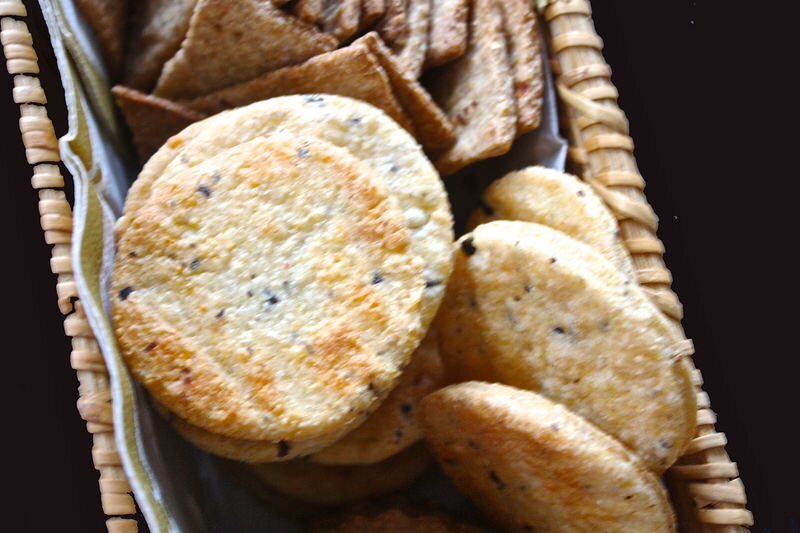 Now, I need a reader to come up with a recipe with almond flour and another flour sans grain. Might try lentil flour. 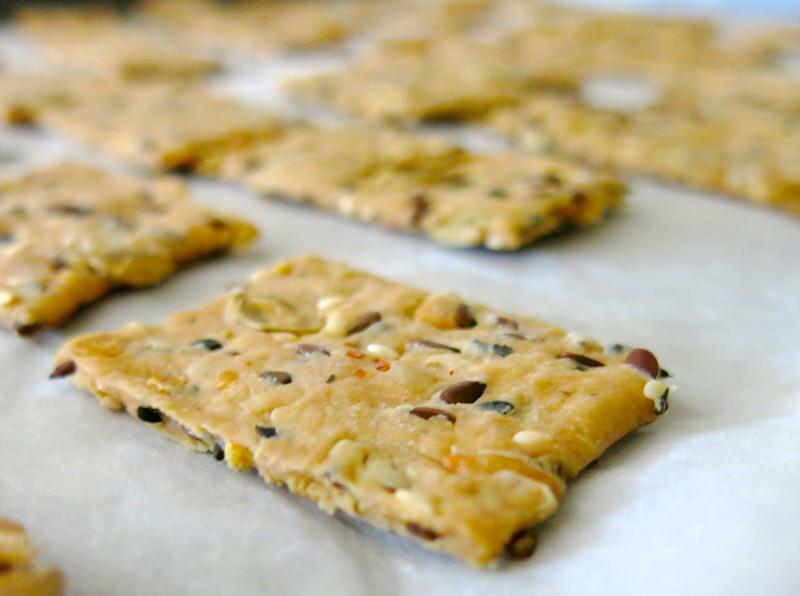 I would love a nibble of cracker while on my Evolv Health Total Reboot program – no grains allowed during Phase 1 – and that’s where I’ll be at for a bit more. 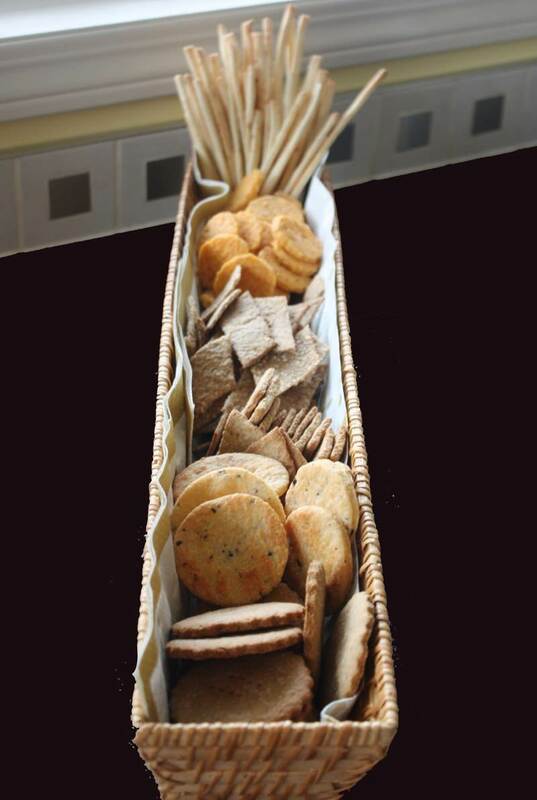 I love these crackers too and it tickles me you have found a way to make them perfect for you!